Very private and a beautiful setting. We hope to be back soon. Just for sleep and save money, this is great place to be. All you need is to bring your food. Very clean and beautiful. 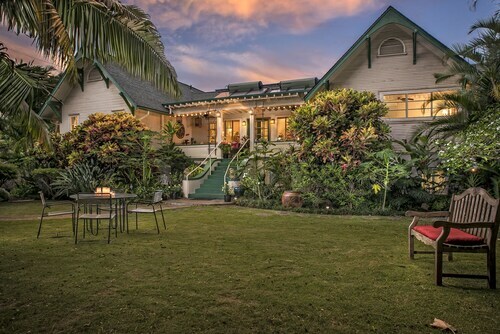 So you're thinking about a holiday to Wailuku? If you want a place to hang your hat that's located near some well-known Wailuku attractions such as Maui Ocean Center and Maalaea Harbor, just go to Orbitz, choose your travel dates, and voilà! Review the list of hotels and other accommodations to find those that are located near everything you want to see and do. We make it easy to find a convenient flight to Kahului, HI (OGG), which is 7 mi (11.2 km) from the city center. Find the perfect flight quickly by using the filters on our site to narrow down your search. What's the Weather Like in Wailuku? Great place to stay! Far less expensive than a large hotel chain and great service with personal touches (2 home baked cookies each morning, complementary bottles of water and shopping bag). Room was spacious, shower even more so with Aveda toiletries. 15 minute drive fro the airport and 15 minute drive to the harbor. It's not located on the water but it has nice grounds and for the price, can't beat it! It's located on a side street so very quiet at night. Beds were comfortable, room had robes, hair dryer, coffee maker with several coffee pod options. Our room had a large ceiling fan and AC. There was a framed menu in the room which highlighted the breakfast provided (different each day) and they provide a free to-go breakfast if you cannot make the 8am breakfast at the main building. Parking was free although the parking lot was rather small but there was always a spot available. Would definitely stay here again and recommend. $169 Spring Special! 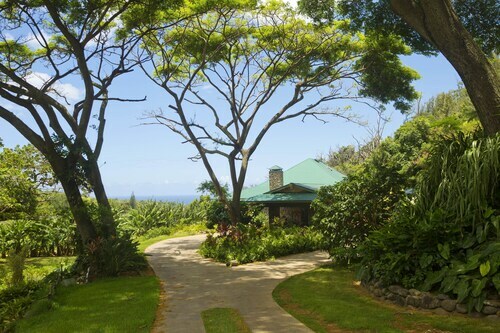 Oceanfront at the Maalaea Banyans #418! Top Floor Oceanfront Condo! Next Open Dates May 4-10!